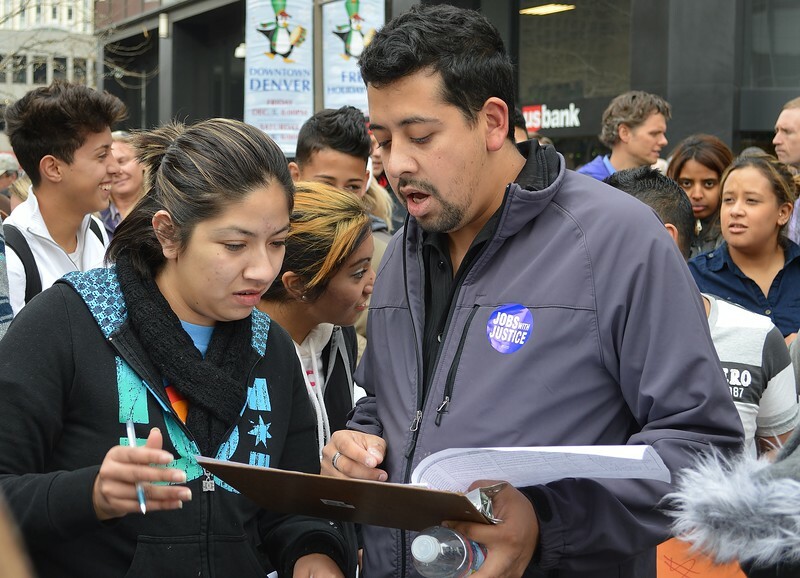 Fast food workers rallies then marched through downtown Denver to call for a raise to $15 per hour and the right to form a union. The action was supported by Western Workers Organizing Committee, SEIU, Jobs With Justice and home health care workers who were also protesting for higher wages. Images include marchers with signs, banners and wearing union t-shirts. Hispanic man wearing "Jobs With Justice" sticker holding clipbaord as woman young woman holding pen looks at it, orher protesters behind them.